I had the pleasure of meeting Raquel Cepeda—not in person, but over the telephone, in an interview conducted by Nora de Hoyos Comstock, founding member, president and CEO of Las Comadres Para Las Americas, an international group of comadres (“godmothers”) who work to unite us all through literature written by Latinas/os. So the first thing I experienced and recognized about Cepeda is her powerful and passionate voice. It is a voice that has had the courage to speak about Latino-American identity, immigration, hip-hop culture, and mental health issues among Latina-American teenagers. 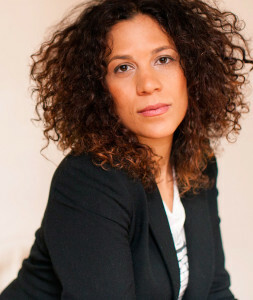 Cepeda’s writings have been anthologized and her byline featured in People, the Associated Press, The Village Voice, MTV News, and CNN.com. As a free-lance reporter, she has contributed to WNYC, CNN and CNN’s Inside the Middle East. She edited the critically acclaimed anthology And It Don’t Stop: The Best Hip-Hop Journalism of the Last 25 Years, winner of the PEN/Beyond Margins and Latino Book Award. 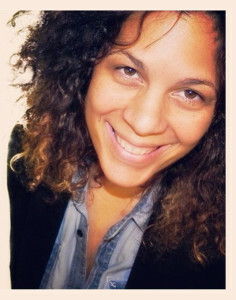 As the former editor in chief of Russell Simmons’ Oneworld, Cepeda was responsible for the magazine’s overhaul in September 2001, winning a Folio Award for best re-design and receiving accolades for her global take on urban culture. In 2013, she was named one of El Diario/La Prensa’s Distinguished Women and also sits on the board of City Lore and the Style Wars Restoration Project. She also directed and produced Bling: A Planet Rock, a feature-length documentary about American hip-hop culture’s obsession with diamonds and all of its social trappings, and how the infatuation with “blinging” became intertwined in Sierra Leone’s decade long conflict. HUERGO: What inspires you to write? CEPEDA: Many things inspire me to write. My answer changes depending on the day. However, I can tell you that what compels me to write is this feeling, this sense when I’m writing that I’m doing what I’m supposed to be doing on earth. I remember the day I called my maternal grandmother to tell her that I sold Bird of Paradise, and she just started laughing and hollering on the other end. I was like, “Mama, why are you laughing at me?” After a few minutes—literally, she couldn’t stop laughing—she composed herself and replied, “When you were a little girl living with us in Santo Domingo, you used to pull on my hem whenever you were mad and say, ‘One day I’m going to write about this family and set the record straight!’ before storming off.” I don’t remember doing that, but I that’s exactly what I did. So, I guess becoming a writer was a part of my destiny, after all. HUERGO: How would you describe your drafting and revision process? CEPEDA: With Bird of Paradise, my drafting and revision process was a deeply spiritual and holistic one. I had been writing versions of this story for years and deleting, editing, putting it away and revisiting it from time to time. However, when I set out to see it through—to draft the proposal, shop and sell the book—the words just poured out of me like a tsunami. It felt like a gift from the universe. The whole thing, including the sometimes painful revision process, (you know, cutting out stories, characters, and other unnecessary fat), was ultimately personally rewarding. HUERGO: What is the most important theme in your work? Why? CEPEDA: It depends on the project. I would say with Bird of Paradise: How I Became Latina, the most important theme is identity, or rather, the exploration of the self. We are always shifting, and so we must be able to do the work of exploring and defining ourselves outside of the ethnic/racial check-boxes we are crammed into here in the U.S.
HUERGO: Was there a teacher or mentor who influenced your writing or your career as a writer? CEPEDA: No, there wasn’t. In my book it becomes apparent early on that the problems with our current educational paradigm in New York and the US are still as pervasive today as they were when I was growing up. I can see why many kids, especially Black- and Latino/a- Americans become disengaged or, worse, develop a low self-esteem. HUERGO: What advice do you have for writers? CEPEDA: Writers should abandon inhibition before sitting down in front of their computers or before putting pen to paper: connect to the gift and let it pour out from within. Worry about revisions later. I also strongly suggest developing a routine that includes at least an hour of sweating. Starting the work day at my boxing gym almost every morning before I sat down to write enabled me to focus and build mental stamina. I would beat any frustration and blockage I may have woken up with that morning on a heavy bag. Whatever form of exercise you choose, working out the mind, body and spirit is the ultimate expression of respect for one’s own craft. Trust me: exercise is the gift that keeps on giving. HUERGO: I’m always curious what writers are working on next. Can you share with us your current project? CEPEDA: I’m working on a proposal for my next book, a memoir about gentrification, and I’m in the latter stages of production on my current documentary film, Deconstructing Latina. 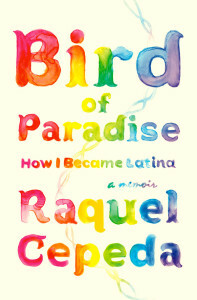 The paperback of Bird of Paradise: How I Became Latina will be coming out in February 2014. That’s great news, especially because my hardcover was a casualty in the recently settled dispute between my parent company Simon & Schuster and Barnes & Noble. I’m hoping that the softcover will have an easier flight in capturing its audience. I’m also working closely with an educational specialist from the Robert F. Kennedy Center on a curriculum that would go hand in hand with Bird of Paradise, a project which I am excited about. This entry was posted in Interviews with Poets & Writers and tagged And It Don’t Stop: The Best Hip-Hop Journalism of the Last 25 Years, Bling: A Planet Rock, City Lore, David J. Leonard, Deconstructing Latina, El Diario|La Prensa’s Distinguished Women, Folio Award, Las Comadres Para Las Americas, Latino Book Award, Nora de Hoyos Comstock, PEN/Beyond Margins, Russell Simmons’ Oneworld, Style Wars Restoration Project on September 9, 2013 by ehuergo.